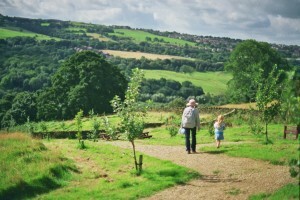 The New Mills Community Orchard is run by volunteers and is intended to be a resource for all. We hope you will come and enjoy this scenic area. If you would like to take some fruit, we recommend that you refer to our information booklet – you can download this from our website. In the booklet you will find a full description of the varieties available and their locations, and the right time of year to pick them. Please be aware that if you pick and eat fruit that isn’t ripe, it may cause illness and also damage the plant. The orchard is primarily intended as a community resource for individuals, schools, and voluntary groups to gain access to locally grown organic food, and to use as a learning resource. Obviously commercial harvesting of the fruit is not permitted, but if you have an interest in using a large volume of the fruit or would like to help us with making products for sale, please contact us via our website: www.nmco.org.uk. You can also use our website to find updates on the orchard’s progress, and get news of events. We also have a facebook page. And if you would like to join our management group, the Friends of New Mills Community Orchard, please get in touch! After many years the tenanted land owned by the Town Council alongside High Lea Park, known as Seddon’s Field, became vacant. This comprised of several acres of steeply sloping grassland some of which were planted as deciduous woodland in the early 1990s. The remainder, which now comprises the site of the orchard, was used as grazing but was of poor quality. From an idea instigated and developed by New Mills Town Council Parks Manager Stephen Lewis in 2006, these fields were planted (with help from local schoolchildren) with apple, pear, plum and cherry trees, thanks to funds received from Derbyshire Greenwatch and the Healthy Living Network. Another grant provided by the National Lottery’s Breathing Spaces fund in 2007 has enabled the Friends of the Orchard Group to enhance the site even more. 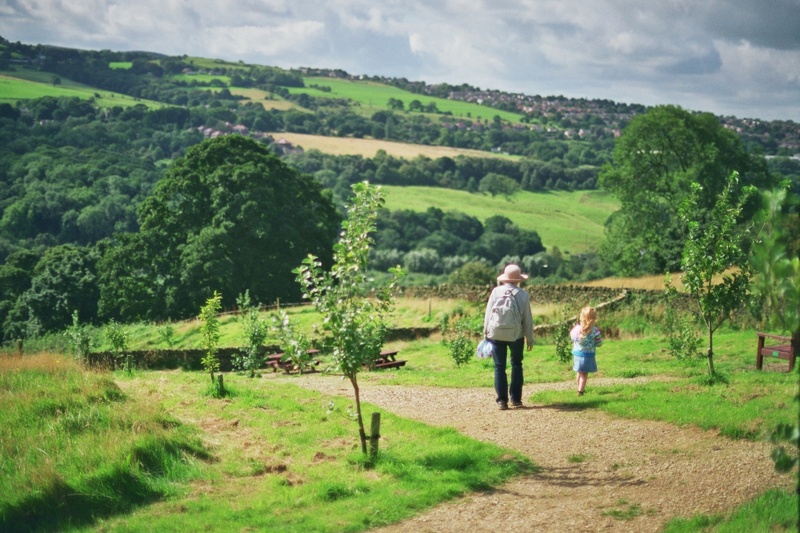 We have improved access, installed sculptures and signage, and added a wider range of planting, including soft fruit bushes and other edible and wildlife-attracting species to form the Community Orchard as it is today.